The day has come and your dreams have come true. A chubby ball of fluffy cuteness is squirming in your arms and licking your face with that tiny pink tongue. You’ve pulled the plug and brought a puppy home. There’s a pyramid of supplies you’ve no doubt already bought for your new fur baby. 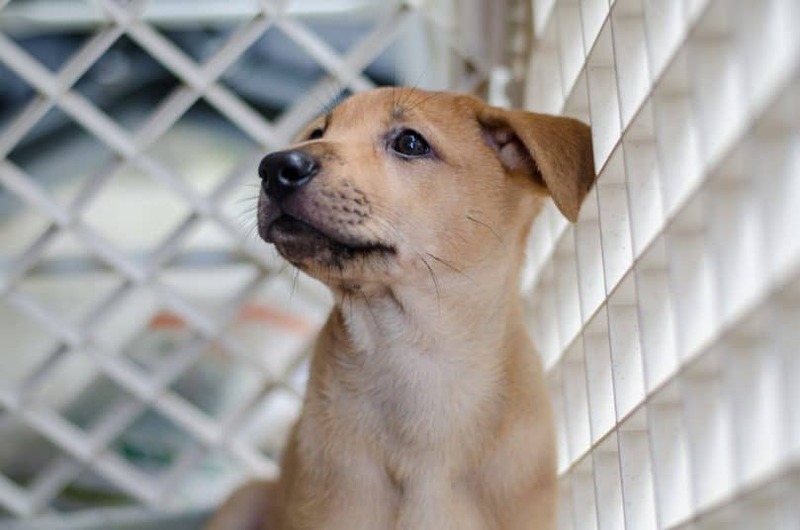 Amidst the toys, food, and blankets, one of the most important products you’ll need to invest in is some sort of confinement area where your puppy can safely play and stay out of trouble. This is where the puppy playpen comes in. 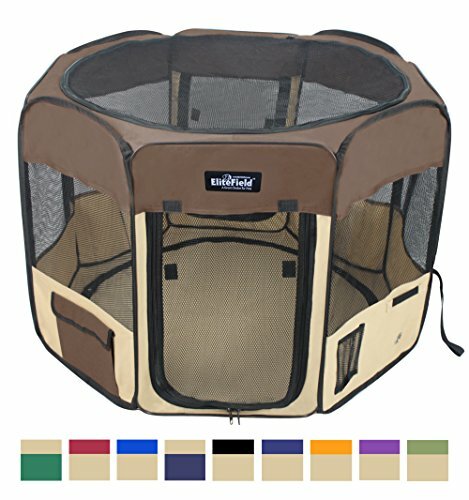 How to Use a Playpen for Dogs and Puppies? Where should you put the playpen and what to put inside? How long to use puppy playpen? How should you clean a dog pen? How do you set up an exercise pen? How do you keep a dog playpen from moving? How big should a puppy playpen be? 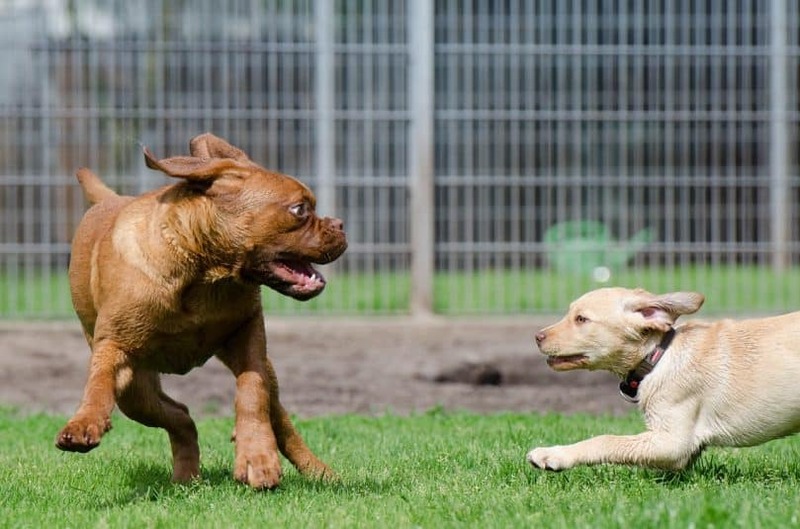 What is the best type of dog playpen? Now, Bring on the Puppy Playpens! Let’s start with answering a most common question first: why should you use a dog/puppy playpen in the first place? In a nutshell, a dog playpen is suitable because it allows pups to burn energy and get the exercise they need. After all, puppies have bundles of energy! Playtime is important for them, helping develop vital social and physical skills needed for adulthood. Your pup will have room to strengthen those muscles and joints, which she won’t be able to do when lounging around in a crate. When your puppy is inside the play yard, ensure it is placed where she can see you and you can see her. Playpens can be used indoors or outdoors. Puppies are curious and like to romp and chew. A playpen allows your pup to do so safely with supervision. A hard surface such as tile or wood is best to set the pen upon to avoid accidents or chewing on the carpet. Think about a shady spot under a tree or patio if it’s a hot day. For small dogs, if you live in an area where birds of prey such as hawks or owls are prowling, investing in a cover such as the GoGo Pet Products UV Top for added protection if you can’t fully supervise when outside. Avoid laying down bedding such as towels or blankets, which pose serious health risks due to chewing and swallowing. My college roommate’s puppy ended up having an emergency surgery because her digestive tract was backed up with cotton and cloth from this very situation occurring. Instead, invest in durable bedding that is easy to clean and doesn’t come with easy-to-swallow pieces such as zippers or buttons. 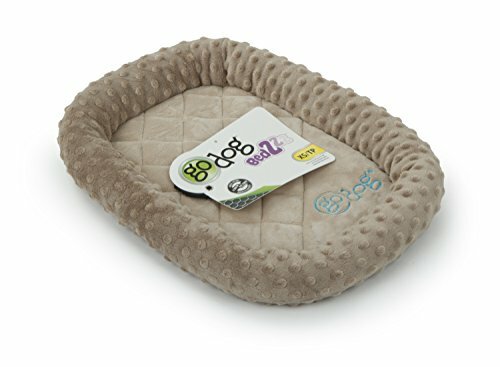 The goDog Bed Bubble Bolster with Chew Guard Technology is a decent choice. It features a double mesh liner that heightens strength. Not only that, but it’s machine washable for those random accidents and has a skid-proof bottom. Keeping safe toys in your playpen allows your puppy to burn energy while learning what is ok to chew on. It also keeps her from getting bored and attacking her poor bed. 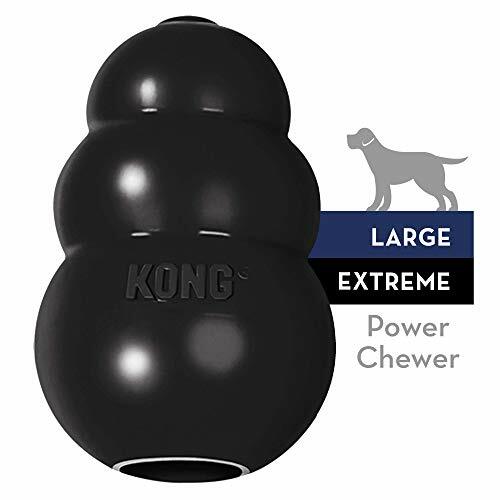 The Rubber Kong Toy is a popular option for indestructible dog toys. Built tough with a hollow inside, you can stuff a treat inside, such as peanut butter or canned pumpkin, and keep pupper occupied for a good while. Can you put food & water inside? We do not recommend keeping a water bowl inside the playpen, because your puppy will have to urinate frequently, heightening the risk of accidents. If you plan on leaving your pup in the pen up to 2 hours or if the pen is set up outside in the yard, then go ahead and leave a bowl of water. The same goes for food. 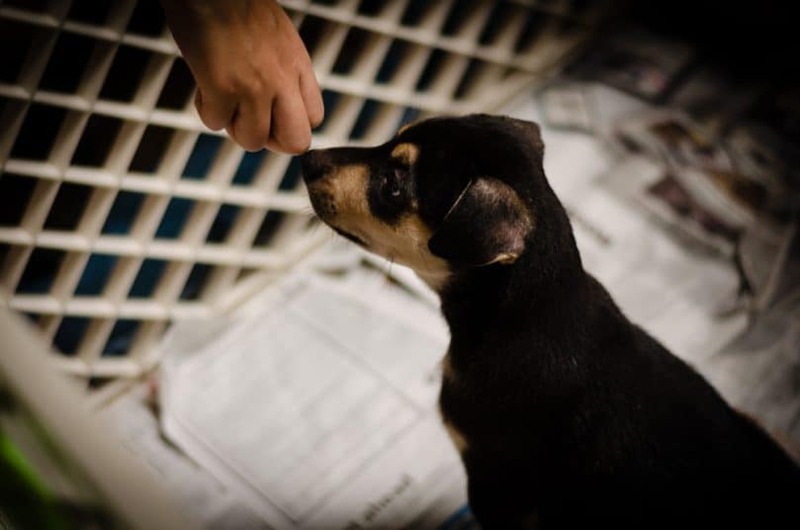 You want your puppy to grow accustomed to eating fixed meals at certain times each day instead of feeding all day long. We do not recommend leaving a bowl of food in the pen for this reason. Plus, it can get messy. If you plan on feeding the main meals inside the pen, that is ok.
Do not leave puppies in a playpen for long hours at a time. Remember, the pen is new to them, so you want to develop good behavior by letting get used to the pen as a positive environment. You also don’t want them to have accidents from being left in for too long. That’s why it is recommended to not exceed 2 hours in the dog pen. Break up the day by taking pupper out to use the toilet and go for walks. Opt for open, hard materials or liquid resistant, washable fabrics that unzip to make cleaning a breeze. Plastic and metal wire panels can detach to clean each individually, while soft pens can be opened at the top and bottom to reach hard-to-get areas with soap and water. Choose a pen that folds down and up without the use of tools for easy travel. Certain pens (metal wire and plastic) can be detached and constructed as a gate to create a custom fenced in area. Do you like the idea of using both a dog crate and a playpen? You can set up both for your puppy! This video gives you tips on how to combine the two so your dog has a den-like area to call home and an area to play. If you use the pen indoors, make sure the bottom is skid-proof. This stops your puppy from pushing the pen across the room. For outdoors use, anchors secured in the dirt help keep the pen in place. Sometimes, a skid-proof bottom just doesn’t cut it against a smooth floor. If you want to use your playpen indoors, but are worried about your dog moving the pen across the floor and causing scratches, check out how this clever dog owner keeps his pen well-anchored for indoor use. 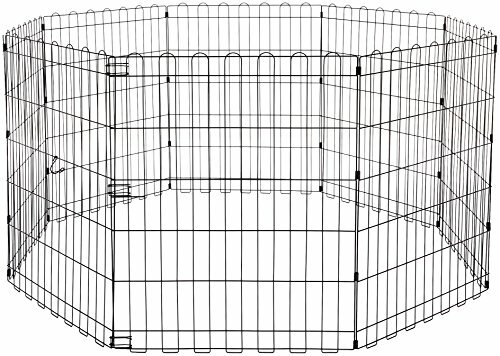 Offering more open area than a crate and versatility when it comes to configuration and placement, the pet exercise pen is a basic, cost-effective option for safe confinement. But what if you want to train your puppy? Or, have you read too many mixed reviews on how crates negatively or positively impact puppy development? It all comes down to what you have in store for your four-legged friend’s future. A fresh, innocent mind is at your disposal and it’s your responsibility to shape it with the right tools. Do you want to start behavior training early? If so, how do you plan to do it? Do you have a plan for housebreaking? How much time will you spend with your puppy? Do you travel frequently via plane? Do you like to spend time outdoors camping? 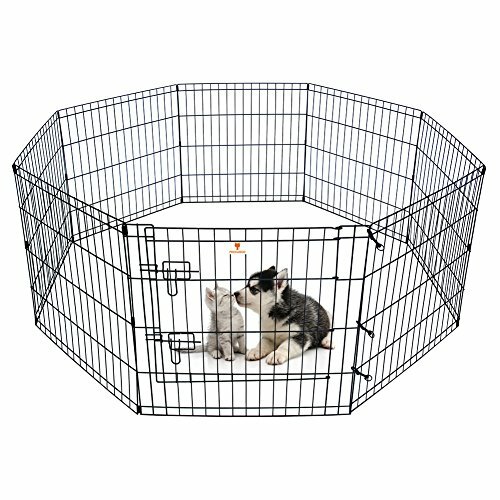 Starting here will help you decide whether a crate or puppy pen is best for your needs. Playpens offer more space and are open, so your puppy has room to roam around and play. Made up of panels, a playpen is highly versatile. You can create an enclosure and shape it to fit in most spaces. You also have the option to use it as a gate to block off a section of your home. Some manufacturers sell panels separately, so you can link more to make a larger enclosure or fence. It’s a simple structure that’s easy to assemble, lightweight and can be used indoors and outdoors. It’s especially more convenient for camping, as it is spacious and easy to fold up or down. Playpens do not offer a den-like atmosphere that dogs view as their own personal space to calm down. It’s geared towards play and exercise. Since they are lightweight, they don’t stand up against destructive behavior very well. They can be used for car travel, but are not approved airline pet carriers. With proper puppy crate training, you can potty train your pup and provide a den-like spot for her to de-stress. There are also heavy duty crates that dissuade destructive behavior and escape. You can save money by purchasing a large crate with a divider panel. 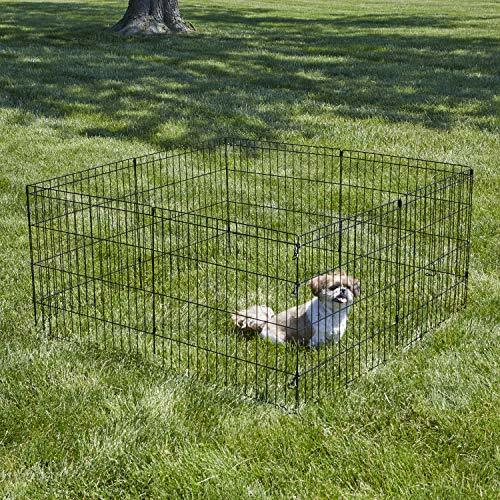 This can be used to allow space for your puppy as she grows, so you won’t need to buy bigger crates down the road. Crates can be heavy, clunky and difficult to transport if you take your dog outdoors frequently. But, soft crates and plastic crates are the best and only accepted pet carriers for air travel. 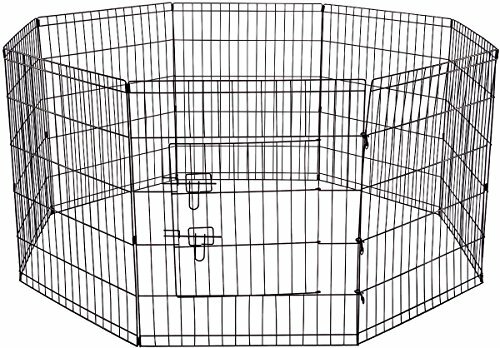 Check out our top picks for small dog crates here. Crate training takes TIME and DEDICATION to be successful. 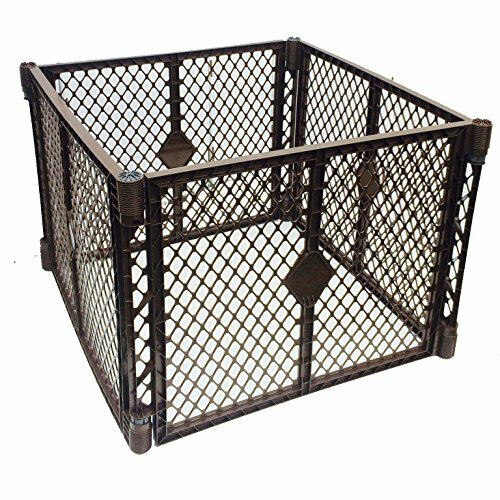 You need to be very particular about the type of crate to purchase and the size so that your puppy doesn’t have accidents. If not utilized correctly to develop good behavior, a dog can become afraid of the crate, destructive or anxious. Playpen size depends on the breed of your dog. There are multiple sizes available to accommodate puppies, small, medium, large and XL dogs. Metal and plastic pens are better for medium to large dogs because of durability, while soft sided pens are more suitable for small dogs. Exercise pens are made from metal wire, plastic panels or fabric. Here’s a quick breakdown of each. Playpens made from metal wire tend to be the most durable. If you have a large to XL dog or a destructive dog, they offer the most support with strong metal tubing that can hold up against a muscle and teeth. The panels of a wire pen are incredibly versatile. There are a wide variety of sizes available on the market, which is a huge convenience. Also, you can assemble them to fit multiple shapes, such as square, rectangle or octagon. If you prefer a fence, the sides can detach to block off an area of the home. This type can be used indoors or outdoors. Metal pens do not come with an attached floor, but some products will include anchors to hold it in place when outside. You can purchase a separate fabric or mesh cover if you wish to have a roof that dissuades jumping or gives your dog shade from the sun when outside. A plastic pen is a better option if your dog is medium to large and not destructive, as it is less durable than metal wire when it comes to chewing. Other than the strength factor, the plastic pen has all of the same beneficial functions as wire. It can be detached as a gate and set up in multiple shapes to be used indoors and outdoors. If you travel quite a bit and prefer a hard pen to a soft pen for a larger dog, the plastic is often preferred because it doesn’t have the sharp edges that a wire crate has and can snap apart easily like puzzle pieces. Planning to use your pen outdoors? For those who live in a region that is wet and rainy, you’ll definitely want to opt for the plastic pen. It won’t be subjected to rust like a metal pen. This type doesn’t have a floor or roof attached, but you can purchase a separate cover for the top if desired. You won’t get the same level of durability as metal or plastic, but if you travel frequently then this is a winner. Fabric pens are a cinch to fold up. Look for products that come with a carrying case for easy storage. These pens should be water resistant, with plenty of mesh paneling on the sides for continuous airflow. We love the models that unzip completely on the top and bottom to make the pen more open and cleaning more convenient. Another bonus is the inclusion of storage pockets, which come in handy when you’re camping and need a place to stash pup supplies. Don’t count on soft-sided pens to withstand chewing or aggressive jumping. If your puppy or dog is on the larger side, a plastic or wire pen is better suited for them. We are confident that you scoured through our informative guide and know everything there is to know about puppy playpens. At this point, you’re pretty much the pen master, so there’s only one thing left to do: wade through the hundreds of products on the market to find the golden playpen. Luckily, we’ve also taken care of that for you! We’ve done the research and compared playpens to hand-pick the 20 best products that money can buy. You’ll find a wide variety of top-quality metal, plastic and fabric options that offer different features and vary in price. 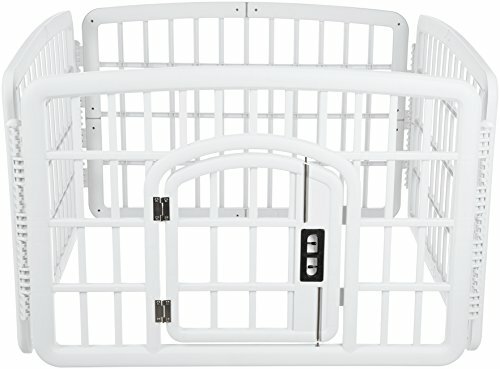 This playpen is a great deal for the price, but remember- you get what you pay for. As far as basic goes, it’s all that. You get a decently sturdy pen that is fast and easy to set up with the accompanying clips. We also like how the grated iron panels are versatile in that you can transform them from a pen to an extended gate to section off a corner of your backyard if so desired. Since it’s basic, don’t expect any special features, such as a carrying case or heavy duty construction. For pricing and availability click here. 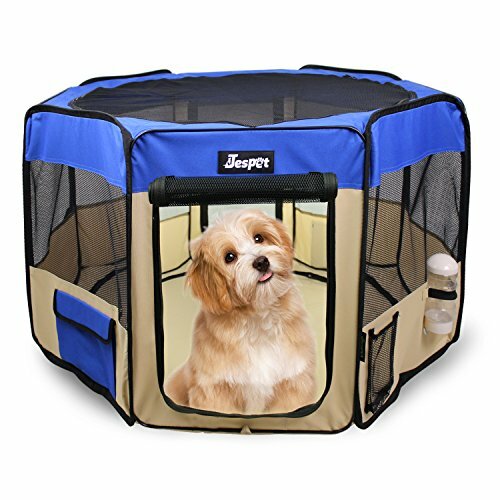 Spacious and easy to assemble, this playpen ensures your puppy or small dog gets plenty of room to stretch out. The construction is durable, including a door locked down securely by 2 locking latches. 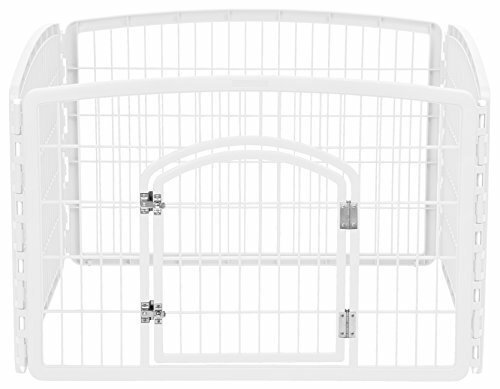 It is also versatile and can be used as a gate if you want to block off an area of the house or yard. The only issue we encountered is with the height of the pen. We found that it’s possible for determined dogs to simply jump over the gate if they feel inclined. There is a mesh covering you can purchase to cover the top, but honestly, it seems to be low quality. You can get creative and construct your own cover. Zip ties and lattice wood or cardboard will do the trick. 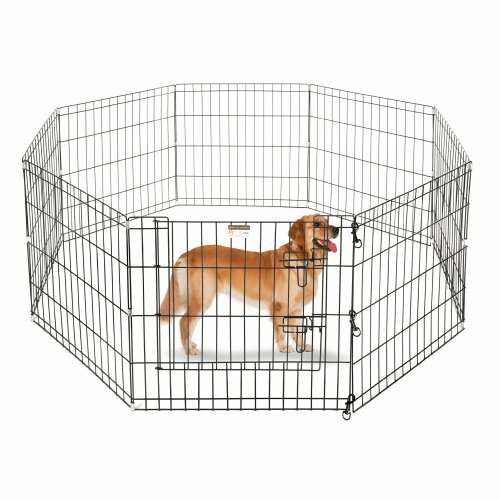 As usual, MidWest serves up a satisfying plate of high quality, with a basic metal wire playpen you can depend on for potty training or to accommodate a growing puppy. The pen is a breeze to assemble and transport, making it one of the more convenient models for travel. The berth of space and flexibility of the wire panels allows it to be customized to fit any space in a variety of shapes. Be careful with construction. The plastic edge supports that come with the pen need to be pushed down hard so as not to appear flimsy. As well, the clamps are rather sharp, which could be dangerous and scratch your hardwood floor if used indoors. Purchase soft pads at the hardwood store to add to the bottom to prevent this. This is a high-quality product, so don’t raise your eyebrows at the price! A different taste than the usual metal gate playpen, this fabric option is perfect for puppies and small dogs. Doggo gets plenty of shade and ventilation, with mesh panels and a covered top. The fabric is breathable and waterproof, making it easy to clean. What we loved most is that you can unzip the bottom and top if you want a more open pen to increase airflow. It also makes it easier to clean. Fold this fabric structure up for your next camping trip and stash supplies in the attached storage pockets. This is great for road trips. 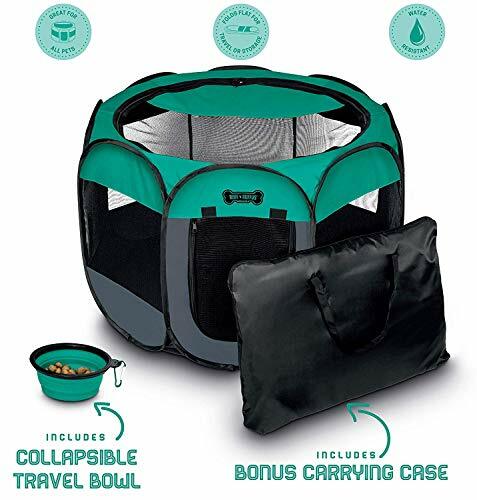 A budget-friendly option, this playpen is reliable when it comes to durability, with a high placed door that double latches for extra security. There is no complication involved with assembling and storing this pen and it can be bent into any shape to accommodate space. Keep in mind that if you use this outdoors, the anchors do a fine job of stabilizing. But, if you plan to use this pen indoors, there is virtually no way to stabilize it against a smooth wood floor or tile. Therefore, you might see some shape-shifting or sliding if you’ve got a rambunctious pup. The manufacturer kept things simple with this playpen. Instead, they offer customers a multitude of assembly options at a low price. This is a simple model of panels without a door. A door is not needed though, because it’s easy to unhook one side of a panel to get in and out. The best part about this pen is that you can order as many panels as desired to customize the space size. The height ranges cover all dog sizes, from small to large. What we were impressed with was the price. For the simplicity, the quality is excellent. The idea of just using panels with snaps, nixing a fancy door makes assembly a joy. This playpen is pricey, but you get the quality you pay for. Durable fabric, plenty of mesh ventilation and the speedy fold up and down assembly make it a wonder for family trips. The top and bottom can fully unzip to open up the environment, so your puppy always stays cool. There are multiple storage pockets and a water bottle holder, which is always a convenient plus if you’re traveling. What we loved most was the broad range of sizes available, making it a solid option for small to large dogs. The panels are higher than other soft-sided playpens we’ve tested, so if you’ve got a jumper then this could be a nice one for you. For a cheaper soft-sided playpen, this one takes the cake. It comes with all of the extras, such as storage pockets and a water bottle holder. Assembly requires no tools- it simply pops open and folds down for car rides. What really impressed us was the quality for the price. The fabric and mesh hold up well against an explosive ball of puppy energy, even if you use it every day. The only downside is the fact that only one size is available. But, it’s a huge pen that can fit small to large dogs. 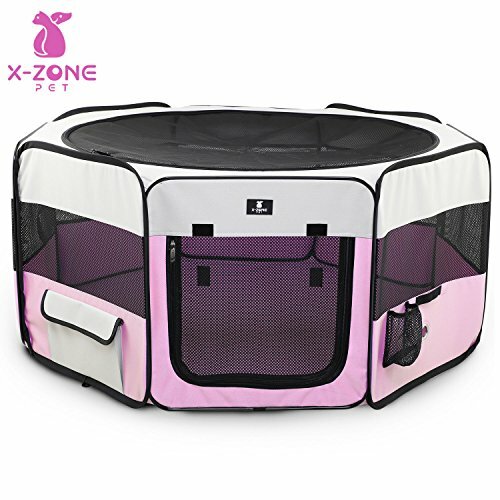 We love this playpen for the quality and the fact that it can house an XL sized dog weighing over 100 lbs. Granted, we mean big dogs that don’t try to escape or destroy. The construction is excellent, holding up against rain and the elements with just a bit of rust noticed around the hinges. It makes for a reliable outdoors pen, especially with the included pins that push deep into the soil for stabilization. This dog playpen can be used indoors, but there is nothing included to keep it from being moved across the floor. The price is expensive compared to other pens, but if you’re looking for something durable that will last through the seasons, this will do the trick. 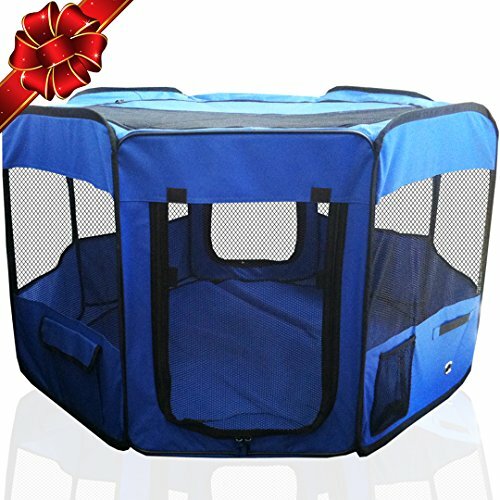 Budget bangers with a small dog or puppy- this is a basic low price option that gives you durable quality while introducing the pup to an enclosure for the first time or starting potty training. There is immense space that allows her to play freely and the thick wire tubing ensures your little rascal won’t be able to wriggle free. Watch out if you use this indoors on wood flooring, as the sharp bottom edges can scratch. We recommend laying a mat or blanket underneath to avoid any aesthetic displeasures. Even though it comes in multiple sizes, we don’t recommend this for large dogs because when squeezed, the bars give a bit. We feel it wouldn’t hold up against a large dog. 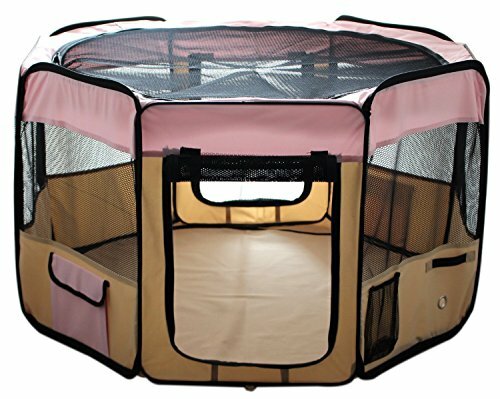 Low priced, we were surprised by the quality and convenience this fabric playpen offers. It’s quite spacious inside, with a top that zips off, so your dog gets plenty of ventilation. There is also a zippered front entrance for easy access. We included this product because for the price it is quite sturdy, built using strong-woven fabric to withstand scratches and tears. The only downside is that the walls collapse easily if your dog gets feisty! We felt the panels could use more support to at least hold in pups that want to play rough. This playpen is as heavy duty as the fabric can get, with tough woven fabric that stands up well to the most hyperactive puppies. Mesh panels offer ventilation on all 8 sides and the top unzips completely for an open atmosphere. A waterproof bottom, storage pockets, and a water bottle holder make this the perfect camping companion for your dog. The only gripes are that it doesn’t come in many sizes, so we recommend this for puppies and small dogs. Also, it pops up easily when you open it, but it’s not as easy to fold up and takes careful attention as opposed to other soft playpens. This soft-sided playpen offers the usual features that we love, including the zip-off top and water resistant fabric that is great for potty training. The price is fair for what you get. The most important aspects being that it is easy to assemble and fold into a flat shape for travel. 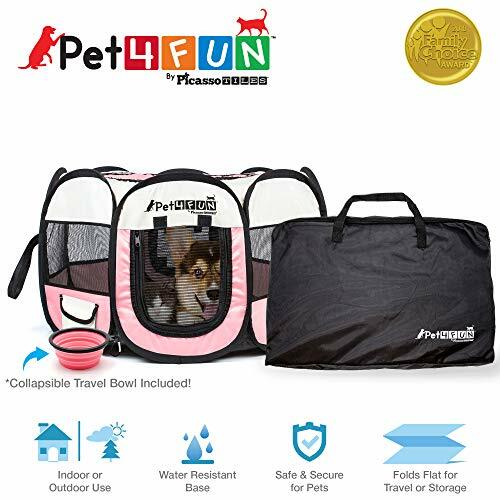 It makes an excellent piece of equipment for family trips and the collapsible water bowl that is included makes packing for your dog efficient. This playpen is durable, but only for small dogs and puppies. It’s way too easy to topple over, so your big dog might discover how to roll it and then turn it into a personal hamster wheel. 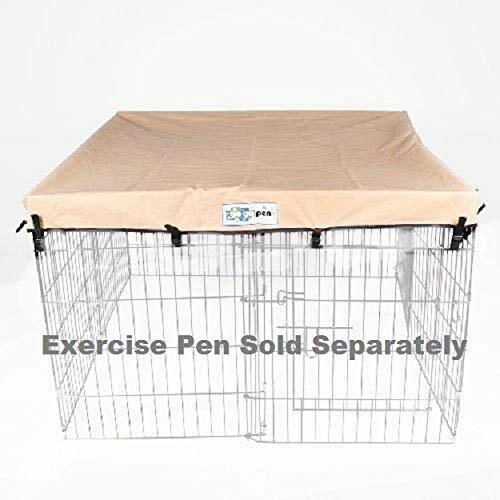 Here’s another budget-friendly soft-sided playpen for small dogs that offers more durable reinforcement with metal wire supporting the panels. It’s also covered with mesh to allow steady airflow, so your dog stays cool and ventilated. We recommend this for outdoor use more so than indoors. The assembly and folding are fast and easy. Be careful where you place this pen though. Indoors, there is no way to anchor it down, so your dog might push it around the house. It comes with metal stakes, which helps anchor it down out in the yard. 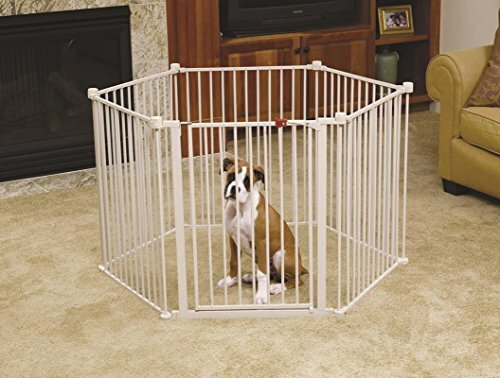 If you’re looking for a top-quality puppy playpen that can stand up against even the most boisterous pup, this is an excellent addition for the price. The panels snap together like puzzle pieces, so you can adjust the sizing to your preference or use it as a gate. The entrance can be left unlocked as a swinging doggie door for your pup to enter and exit at leisure. Also, this is the best dog playpen for hardwood floors, as you won’t have to worry about it sliding around the house due to the non-slip pads that are a thoughtful touch. If you long for a bigger area, order the extra two panels that boost the space to 34sq ft. This pen folds up easily without tools, making it one of the best portable puppy playpens for outdoors. It doesn’t have an anchor system to keep it from sliding across a kitchen floor. The heavy-duty plastic craftsmanship on this playpen isn’t flimsy or questionable, with rounded plastic edges that ease worries about cuts and other injuries. It’s extremely versatile, utilizing long rods to hold the panels together. 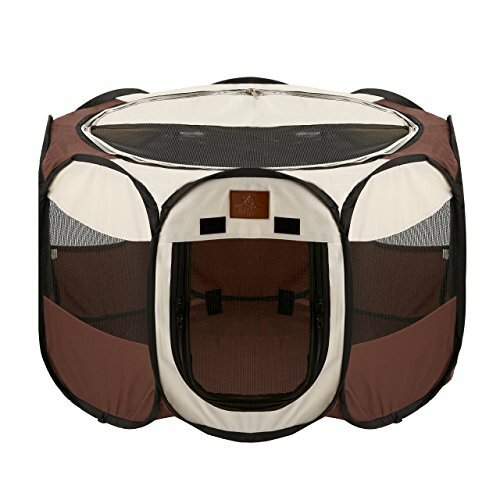 You can also purchase extra panels separately for increased exercise space for your dog. When it comes down to it, we love the durability of this pen for the low price. But keep in mind, the spaces in-between the plastic bars make it easy for teacup dogs to wriggle through. It’s better for puppies and small dogs. 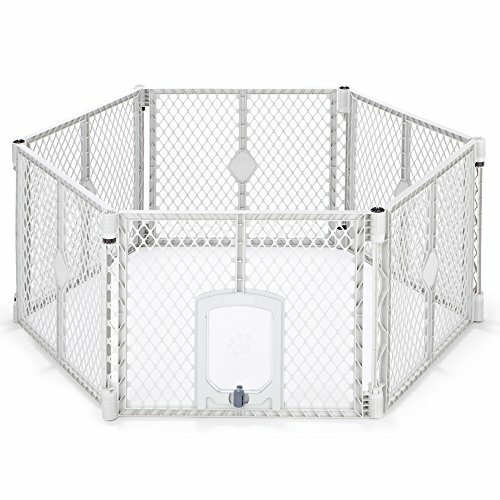 This is a top-notch steel built playpen that gives you reliability and durability for the price. It’s also versatile and can be enclosed as a pen or opened up to be used as a gate. We love this pen because it offers a unique design with thick vertical bars that create tall walls and a large swinging door that makes entering easy. We recommend purchasing the wall mounting equipment if you plan to use this as a gate because it secures the product in place. Without that support, it’s easy for a dog to wriggle through the sides and escape. This playpen is a bit pricier than the budget options, but the quality is excellent. If you want a basic pen that won’t wobble when your dog pounces on it, the heavy duty plastic won’t budge. 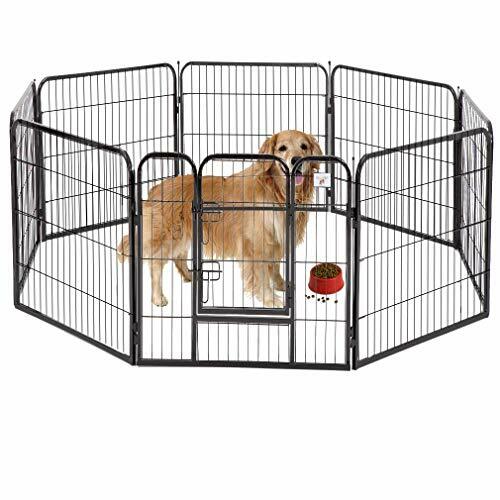 The high panels make it difficult for doggo to jump to freedom and assembly is seamless with the versatile choice to fold the panels out into a gate. The only downside, though small, is the sizing. Besides offering one size, there is no option to purchase extra panels to extend the pen area. The manufacturer does give the option to connect 2 pens together, but not separate panels. Therefore, if you want more space, you need to pay double. This playpen is meant to hold small dogs and puppies, so you can expect the wire paneling to be thinner than usual. The design is very basic, but when you have a puppy, that’s all you really need to get her used to being contained. For the low price, it’s reliable and that’s what we like the most. Also, since it’s lightweight, it’s easy to assemble and you can use it indoors or outdoors. 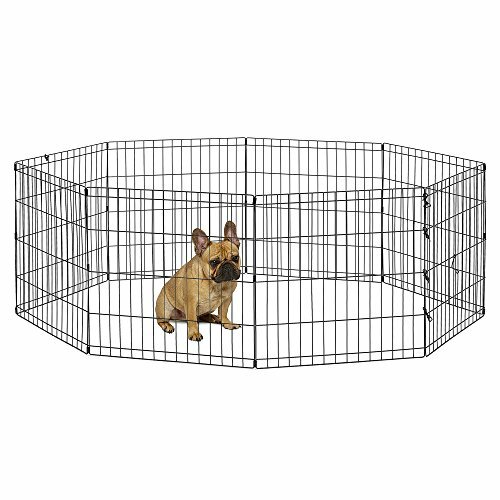 When it comes to the best of the bunch, these are our absolute favorite metal, plastic, and fabric puppy playpens. Our wire playpen pick is the MidWest Exercise Pen, which always stands up to competitors with quality and reputation. Features that add to convenience are nice, but nothing compares to basic reliability. This is a durable option with a diverse selection of sizes available to choose the best pen for your growing pup or small dog. The North States Pet MYPET Petyard Passage is a reliable plastic paneled option that’s built tough to last. The thick plastic panels can go up against those sharp puppy teeth and jubilant hops without toppling over. Assembly is also a breeze, as no tools are required and the panels snap together like puzzle pieces. For the best soft puppy playpen, you can’t go wrong with the ESK COLLECTION Playpen. It’s well-ventilated with strong mesh panels on all 8 sides of this spacious pen. Better yet, both the top and bottom of the structure can be unzipped completely, so pupper can feel the sun on her skin and grass under her toes. I was raised to be a dog person. My first Shepherd grew up as I did and wanted to be where I was at all times. I got my second dog as a 16th birthday present, and her loyalty for me was just as strong as my first. I hope that my contribution to Animalso will help others find dogs who give them that same unconditional love. Animalso.com is a participant in the Amazon Services LLC Associates Program, an affiliate advertising program designed to provide a means for sites to earn advertising fees by advertising and linking to Amazon.com.